In recent years, leadership positions of the editorial and the business sections have been designated to two individuals. However, this separation of responsibilities was not always the case for The Dartmouth, nor other college newspapers. The Harvard Crimson’s business and editorial sections are currently managed by one president, and during a period of The Dartmouth’s history, the paper moved from having both an editor-in-chief and a publisher to having a president who led both sections of the paper. The Dartmouth re-divided the position of president in 2006, following conversations between Kevin Garland ’07 and Dax Tejera ’07 about the benefits of an editor-in-chief and publisher managing distinct sections. As acting publisher, Benjamin said he is working to keep his editorial and his business responsibilities separate. While the editor-in-chief focuses on the paper’s content, the publisher is concerned with the paper’s finances. As a result, the two roles do not frequently overlap, he said. The newspaper’s two executive editors will continue to read all stories from the editorial section and provide an independent perspective without any relation to the newspaper’s business section. 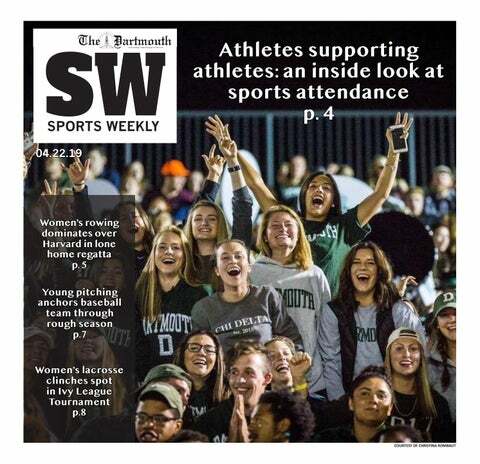 Benjamin said that he is currently seeking a full-time replacement for publisher and is planning to reach out to potential candidates in both the editorial and the business sections of The Dartmouth. He and Tejera both agree that it is in the paper’s best interest for the roles of editor-in-chief and publisher to remain separate.